It was never said that the landscape of today’s online marketing practices is easy to navigate. There are too many strategies involved and too many different approaches. There are also great ways to receive feedback and monitor the success of online marketing, but these metrics can be confusing as well. It’s no wonder that people choose to specialize in online marketing, as opposed to doing it on the side for their own businesses. Still, many small business owners don’t have huge marketing budgets, and for them, it might be more acceptable to dip their toes into the waters of online marketing, or even take a swim or a dive. After all, these online marketing tools and strategies are designed to be used by people, and every little bit of knowledge we can get about online marketing is something that might give us a leg up on the competition. And as always, it’s best to start with learning the basics. A lot of the strategies you’ll be using to promote your business will work better if there’s a strong brand image customers can associate with your business. The brand name, logo, and tagline have to be recognizable and distinguishable from the competitors’ because that’s what will make the customers remember your business once they go off your web page or social media page. Brand recall is positively linked with consumers’ purchase intent, so the better you able to sear your brand image into their minds, the better the chances will be they will actually spend money in your business. Having an online marketing strategy that uses several different platforms can get expensive, but it’s also a necessity if you want your business to reach as many potential customers as possible. Investing in Google and Facebook ads will cost, but it can also be very effective. Investing in a blog or a newsletter might look cheaper, but it doesn’t necessarily have to be because you will need to hire writers that will write the content for them. And you will need people to optimize and administrate your business’ Facebook, Twitter and Instagram pages, as well as your website. All of this can rack up costs, so managing money and staying within the budget should be one of the top concerns if you don’t want to spend more money than you’ll eventually make. If you want to drive traffic to your website, online store, or blog, you need it to have a rank that makes it appear on the first page of web search results for terms that are related to your business. That’s easier said than done, and it requires a lot of work. Search engine optimization is a necessity for online marketing, but luckily there is plenty of tools and plug-ins that can take care of at least some of this work for you. The most important thing to remember here is that visitors get attracted to quality content – content that is interesting or funny, content that gives them useful information, content that helps them solve their problems. That’s the content people also like to share over social media, which can increase your business’ reach considerably. Producing high-quality content for any of the platforms used for online marketing is one of the most important strategies and a strategy that really pays off. Listing your business in online directories and websites that allow your customers to post reviews is also a good way to draw visitors. People are increasingly turning towards the online review when making decisions about their purchases, and a business that hasn’t been reviewed online is a business that has only a partial existence. It might also be worth mentioning that a lot of the web traffic today comes from mobile devices, so having a mobile-friendly version of your website, and employing a little bit of responsive design, might make your website more attractive to customers. Once you attract them, you need to know how to keep them. Engaging your customers can be as simple as giving them something to do while on your website – quality content to read or view, a questionnaire, survey or a quiz to fill out. Giving gifts like eBooks is also a great way of engaging your customers. You should be aware that a large part of engaging your customers is about giving them space where they can communicate with your business. Comment sections on your blog, Facebook or YouTube comments, even reviews on Yelp are a place where customers can share their opinions of your business, which might be invaluable to you because it’s feedback, and it’s free. Just remember to respond to every question and make amends when you do something wrong. Once you’ve done everything right, and your business starts getting some traffic, you need to keep in mind what you were doing to get to this point and then do it some more. A lot more, actually. 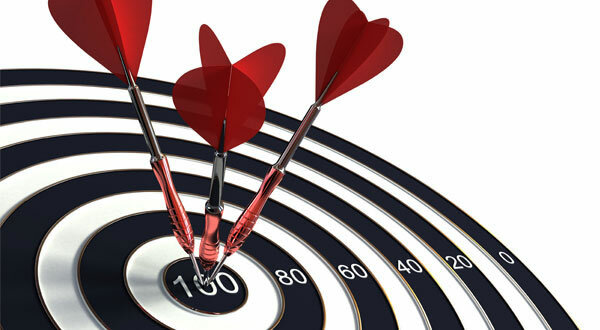 Retargeting your ads so that they reach the consumers that are more likely to make a purchase is a good strategy, as is email marketing, especially when used as a part of a broader online marketing strategy. Being on top means that you have an obligation for a consistent quality, and the attention you’ll draw from your competition means that there might be attempts to smudge your reputation. However, as long as you give a consistently high-quality service to your customers, you should maintain a steady core of customers, even though you might need to put in additional effort to clean your reputation if your competitors manage to damage it sufficiently. Lastly, you should periodically revise your whole online marketing strategy. If something’s not getting results and is costing your more money than it’s bringing in, you should adapt it or drop it entirely from your overall strategy. Making money is the name of this game, and whatever doesn’t ultimately serve that purpose should, at least, be reconsidered.